An upcoming tribunal to determine the validity of machine slaughter in halal has received mixed support from certification boards. The tribunal, which will be presided over by the Muslim Arbitration Tribunal (MAT) is expected to take place this summer and will arbitrate on Food Standard Agency (FSA) halal guidance published in 2010, which states that at the time of slaughter, the slaughterman must pronounce Bismillah Allahu Akbar (In the name of God, God is the Greatest) on each animal or bird. In a statement, the Sharia Halal Board offered support for the tribunal. “The Sharia Halal Board does not deem machine-slaughtered poultry products to be halal. It has actively campaigned over the last four years to eliminate so called halal machine slaughter. Currently the four key certifying and monitoring halal authorities of the UK all regard machine slaughter to be a haraam (non-permissible) product. “The Sharia Halal Board welcomes the move being taken by the MAT and hopes this verdict will further help ensure Muslim consumers are sold genuine halal products. 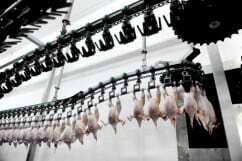 The Sharia Halal Board will be attending the arbitration and hopes that a detailed analysis can be carried out on machine kill and that the reasons for deeming it non-halal can be clarified in detail. However, not all bodies are supporting the tribunal. The Halal Food Authority (HFA) said it would not be participating in the process. Saqib Mohammed, chief executive officer, said: “We want to move away from this trial until all the procedures carried out by the MAT are made fully transparent to all parties concerned.